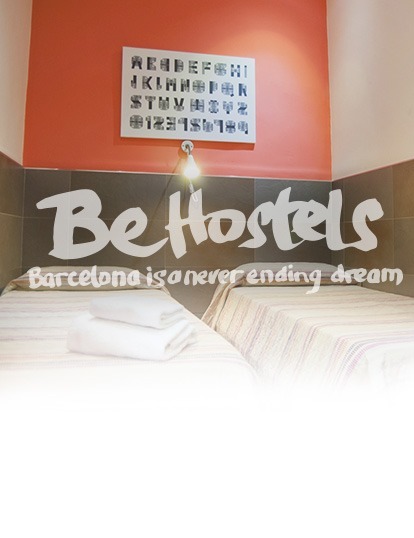 Welcome to the first and original of the Be Hostels family, Be Ramblas Budget Hotel Barcelona, your best choice for a budget hotel right in the Barcelona city center. Single, Double and Private Rooms. Enjoy a calm and pleasant stay in a place adaptable to all kinds of travelers, with a wide range of room options to suit your demand. Take advantage of it’s convenient location around the corner from Liceu and Ramblas, as well as neighboring Plaza Real with all that it’s got in store for you. And, if you are willing, follow us on a free walking tour so you can become acquainted around town. Surprise yourself with all the services you can count on while staying with us; guest’s kitchen, wi-fi inside the room, and all kinds of tours and activities. Enjoy Barcelona with us at Be Ramblas Budget Hotel Barcelona, our cheap budget hotel in Barcelona city center. All the great free facilities you can find at Be Ramblas Hotel to enjoy your stay in Barcelona!